May and Libby are best friends who do everything together, including writing and illustrating a comic featuring a sword carrying heroine called Princess X. When Libby dies in a car crash, May is devastated and withdraws from everything. Until she starts noticing stickers around town with the Princess X image. 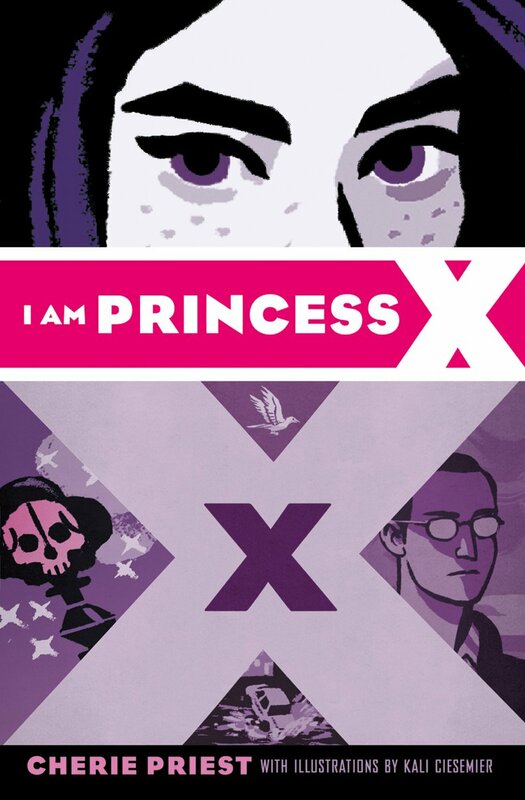 She starts investigating and discovers an underground culture devoted to Princess X and becomes convinced her friend Libby is at the center of it all. This was a good quick entertaining read. The story was interesting and suspenseful and kept me up reading late at night. I was looking for something to read on my iPad and the cover was intriguing enough to make me read the description. I can't truly remember if there were any formatting issues with the ebook and the illustrations, but I do remember thinking they were a nice touch.